It always happens – put more than two software developers together and at some point the geek-bragging begins. Out come the tech-toys, boasts about their latest brilliant hacks, or a detailed description of some wicked project at work. And for us members of the older generation the discussion always turns to your first computer. 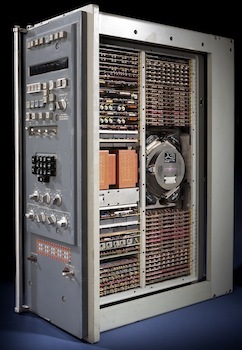 While most people of my generation throw around some sort of PDP or VAX system with a sprinkle of punch cards and massive line printers that vomited green and white colored code listings, I aways have my trump card – my first computer was the amazing MARDAN. Actuality, I hadn’t thought about the MARDAN in years, but ran into this old friend a few weeks ago when a came across the Time and Navigation exhibit at the Smithsonian. As I browsed the pages I was shocked to stumble on the navigation system I worked on while aboard the USS Nevada – there on the page in front of me was the SINS (Ships Internal Navigation System). The SINS was part of all early fleet ballistic missile submarine systems and while old, was included on the first generation Trident missile boats. Designed in the 50s and early 60s, the SINS was an an incredible concoction of analog functionality and Newtonian physics, that was combined with a dash of digital computing. And at the heart of the SINS was it’s computer – the MARDAN. The MARDAN was a system that you could not help but love. And while the MARDAN itself was special, the user interface machinery for it was just as incredible. Programs were loaded using fanfold paper tape, that was five tracks (dots) wide. The tape was loaded in a canister that was read via optical sensors. 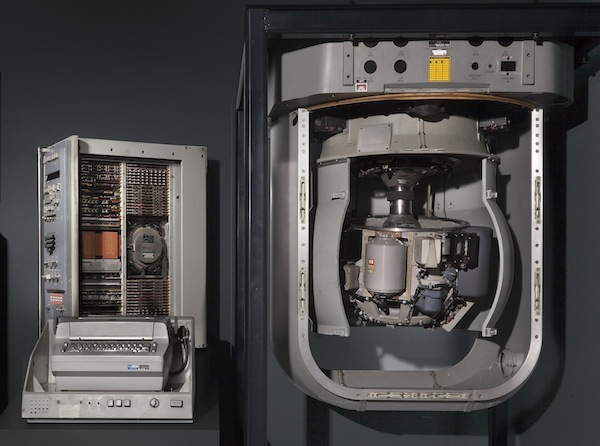 The canister was time consuming to use, so more often than not this was done free-form by holding the tape in your hand — yeah it was cutting edge computing. 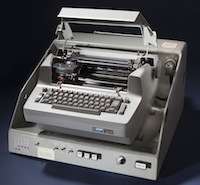 For output a heavily modified IBM Selectric typewriter was used. Relays were spliced into the control system of the Selectric, giving the SINS the ability to generate hard copy. Yes, it was as kookie as it sounds. You would select the register/disk track using the MARDANs front panel knobs and observe the quasi-octal data fly by on the glowing amber NIXIE tubes — it was glorious. While the MARDAN seems quaint when viewed within the context of todays complex and ubiquitous computing systems, the surprising thing is that the general compute and communication patterns used by the MARDAN are the same basic principles used today. A real tribute to the wit of the engineering team that built the MARDAN, and what truly makes the MARDAN Amazing!